Dental care is one of those compulsory health needs that are just way too expensive to maintain – especially when you’re dealing with a clinic whose main mission in life is emptying your wallet. Well, we can either complain as much as we want or find a way to break free from this predicament. Knowing that dental care is a necessity if you want to hang on to your pearly whites, forgoing dentist appointments may not be the most reliable solution. What you need is a consistent clinic with affordable pricing that gives top quality services. Wow. Talk about tough criteria. Where Can I Find Such a Dream-like Dental Clinic? Where else but in the vast world of the internet? Dental clinics, just like many other businesses, have started to bring their services online. And, you know what it’s like to do business in cyberspace – it’s an eat or get eaten world out here. Even dental clinics would allow change to become more competitive in their industry. But among many, many clinics that have their services reachable online, how would you know you’ve hit the jackpot? Especially, in more populated cities like Durham, NC. If you search Google for the number of dental clinics found in Durham, a little more than a hundred will turn up. If you’re living in the city, doing your research online before setting up an appointment is a must. But do you really have so much available time in your hands to scan each and every website of all these dental clinics based in Durham? Well, you can try. Or, you can just continue reading this article. Scanning is easy when you know what to look for. And what we’re currently looking for is a Durham Dental Clinic that is a lifetime catch. After all, no one likes being a dental clinic nomad. If you find the right clinic for you, having just one to go to every time you need something done can help you build a strong dentist-patient relationship – along with it are many perks (*whispers* maybe even appointment discounts). If you are looking for a family or personal dentist, proximity should be a concern. Out of more than 100 clinics, at least 5 or 10 should be practically near you. You can start reducing your search this way. Find a clinic nearest your home so that you can spare yourself travel time and gas. Patient reviews are a convenient source of information. Simply skimming through the comments patients leave on the clinic’s website or other dental practice review websites should give you enough information about the quality of service the clinic provides – without having to go through the same experience yourself. Well, the possibility of coming across fake reviews is eminent but if you gather enough data to cross-check, you should end up with the right conclusion. This part is very important. After all, a dental clinic with the most outdated equipment can still become the best with the right dentist. The dentist is the core of every clinic. 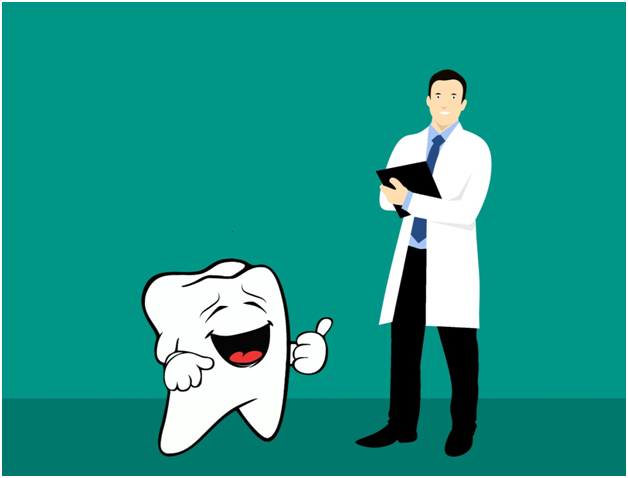 When you are browsing through dental websites, make sure to do a quick background check on the dentists and other dental health professionals running the clinic. You will most likely find this information in the “About Us” page as well as in the reviews section so be sure to check them out! Do they offer services I primarily/regularly need? Do they have the service I’m planning to have in the next couple of months? Does their pricing fit with my budget? Lastly, you need to look at the tools and equipment they use. Again, remarks about these can be usually found in the patient reviews’ section. Good clinics keep their tools and equipment up-to-date not only to improve the quality of their services but to ensure patient safety as well. You’ll know it’s a great clinic when they invest more to better their services!